India has varied terrain which in turn has led to a wide variety of habitats. The variety of habitats has created a land that is rich wildlife. In India, the popularity of watching wild animals and birds in their natural habitat has grown, but the population of many wildlife species has declined. 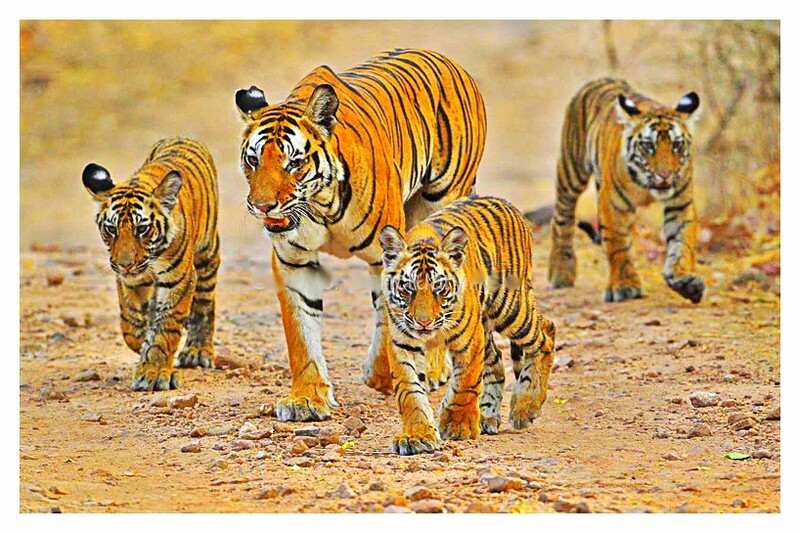 The government of India took a major step in conserving this wildlife by creating national parks. Aimed at developing protected areas for wild animals and birds, the development of national parks in India has been a major wildlife conservation effort for India. Along with programs aimed at augmenting the wildlife populations through breeding, the national parks help to ensure that India’s wonderful wildlife still exists on this planet and are available for us all to enjoy. Indian wildlife has become a major attraction for tourists from all over the world who come to visit India. India’s national parks are the corner stone of this new ecotourism. India’s first national park (an IUCN category II protected area) was established in 1935 as Hailey National Park, now it is known as Jim Corbett National Park. In 1970, India only had five national parks. However, India enacted the Wildlife Protection Act and Project Tiger in 1972 to safeguard the habitats of its wildlife species. Additional federal legislation strengthened the protections for wildlife during the 1980s. There are now nearly 100 national parks. National park lands collectively make up over one percent of India’s total land surface. A total of 166 national parks have been authorized and plans are underway to establish the remaining authorized national parks. Indian national parks are listed below along with their home state or territory.